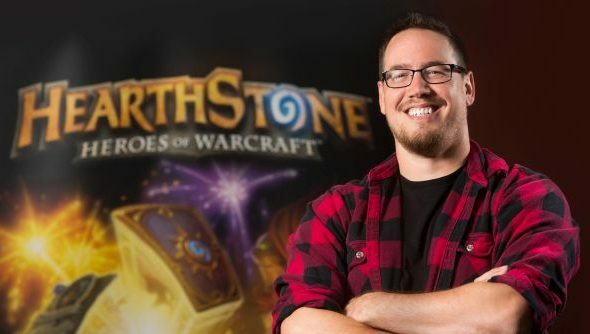 The humongous announcements about Hearthstone last night – the Year of the Mammoth as they’re calling it, including the removal of adventures and new plans for old cards – has been followed up by a few Reddit posts from game director Ben Brode. Most notably, he mentioned that for the 2018 rotation next year, heavily nerfed cards like Molten Giant that seemed too powerful for Standard may be re-buffed and added to the Hall of Fame to keep them relevant in the Wild metagame. For something to play right now, check our rundown of Hearthstone decks for beginners. In a heavily upvoted post, Brode said this was being considered for next rotation. He later clarified he meant 2018, rather than happening in a few weeks with the release of the next expansion – heavily rumoured to be titled Lost Secrets of Un’goro and have a lot of dinosaurs in it. It’s something the community has been requesting for some time, not liking that certain Wild-viable decks – particularly Handlock – lost so much when classic set cards were nerfed with the introduction of Standard. Now that cards are being rotated out into the Hall of Fame rather than nerfed it’s a reasonable response, and it seems like Blizzard are going to see how the first year of proper Wild competition (another of yesterday’s announcements) goes before committing to it. Also mentioned was the possibility of bringing new cards into Classic from old sets, ones that aren’t powerful enough to see play in Wild but are interesting additions to a format. Brode specifically mentioned Whispers of the Old Gods card Shatter as a possibility. While we’ll be waiting until 2018 for that set of changes, Year of the Mammoth will probably kick off next month. Blizzard have scheduled a livestream for Tuesday, February 21 at 11am PST / 7pm GMT to talk about it – that could involve a release date announcement.